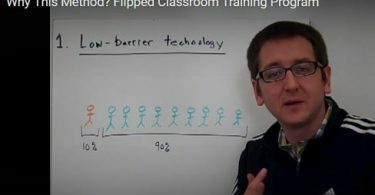 After reading and publishing Kayla Matthews’ recent article, “What Does the Technology-Enhanced Future of the School Field Trip Look Like?” on EmergingEdTech.com, I started thinking about the benefits of flipping the traditional school field trip. Now, after spending the last couple of weeks in Europe visiting many ancient historical sites, I totally see the value of this approach! 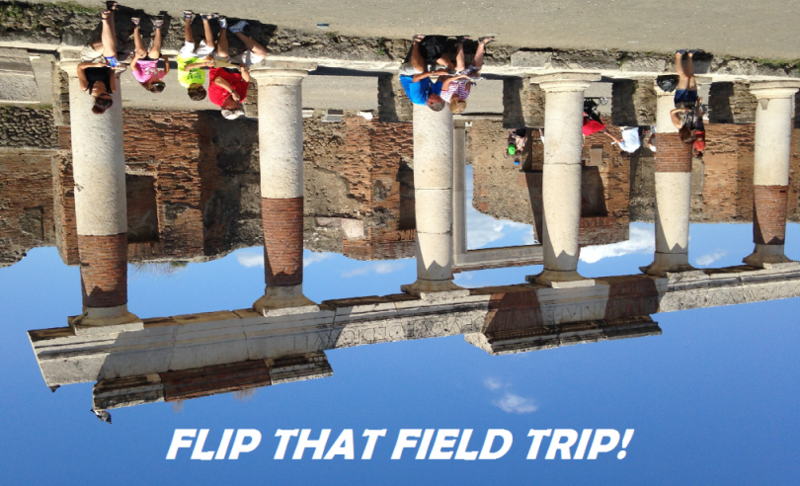 Granted, not many of us are heading to Pompeii or the Coliseum on a field trip, but no matter where you are planning to take kids for a visit, you can add so much value to the experience by having students review learning materials about the location they are visiting in advance of the field trip. While I roamed the streets of Pompeii I was struck by how large it was, and how small my knowledge was of the fascinating ancient ruin I was experiencing. I had to ask my nephew (one of the few of us with an international data plan) to Google it so I could learn fundamentals like when it was built (historian’s believe Pompeii dates back to the 5th and 6th centuries BC), and when Mt. Vesuvius buried it in ash (79 AD). I regretted having been so busy traveling that I had failed to take some time to get to know more about my destination before I arrived there. How can we expect students to be interested in and appreciate the local science museum, and trip to a dairy farm, or even a virtual outing, if they don’t know much about it before they go? And of course, repeated exposure to basic information is a fundamental technique to help facilitate learning. If students learn a little about the site they will visit, and get some sense of how or why it might relate to their lives, they are far more likely to take interest and learn. So here’s a few tips and ideas for flipping your next field trip and setting students to enjoy the experience more and most importantly, have a richer learning experience! Before going, plan a lesson introducing students to the site you will be visiting, then provide flipped learning content for them to actively engage with outside of class, to further explore the topic. Look for opportunities to ask questions that draw them in and get them thinking! Look for stories to share – using stories to draw students into learning is such a winning tactic! For example, you could plan a virtual/online field trip to a site like Pompeii (using pictures and videos), and you would certainly have an incredible (but yes, in this case, scary) story to share to draw them into the experience! Think about ways in which you could relate the site you are visiting to the students. If you were taking a field trip to an agricultural site, such as a dairy farm, you could ask students to research and list foods that they eat that come from dairy farms. This is also a good opportunity for a K-W-L chart. What do your students already know about where you going, what do they want to know, and afterwards … what did they learn? After the field trip you can still consider some sort of post-trip report, but consider making it more of an activity. Maybe a reflective blog post, or sharing some pictures. Have some group discussions about what you learned. Did they learn something that can help them or the community. Nature based trips are great for reflecting on environmental considerations, and historical trips offer opportunities to learn from the past and think about the future. Make the post-trip activity fun! So the next time you’re getting ready for a field trip, I hope you’ll consider flipping it! If you do, stop by and tell us about your experience. If you’ve already done so, how did it go? What did you do? Curious teachers want to know :)!